We can't all be as smooth as Indiana Jones with the hat grab. He's been travelling and going out on incredible adventures since he was just a little kid meeting Tolstoy when he ran away from his parents (Yeah, he really did that). He's been practicing with a whip for just about as long too. With a look as awesome as he's got going on, it's a surprise anybody still tries to square up with him, but if they do, he's even got fist fighting skills better than any of the bad guys. With all this going on, it's okay for us to be a little less smooth with our moves than him, so don't feel bad if weren't able to snag it after slipping through the closing door. Of course now you're probably saying, "But that hat was awesome looking and really expensive! Where can I get a new one that I can actually afford?" Well, we know exactly where you can grab one of those sweet looking fedoras for a much lower price. 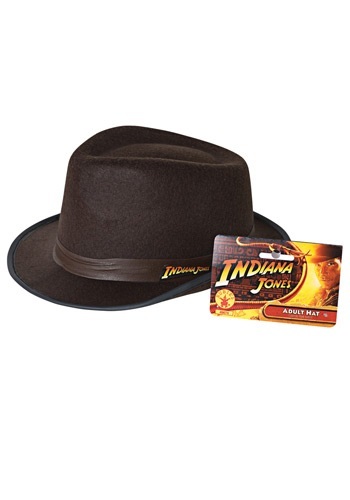 Just grab a few of these affordable Indiana Jones hats to practice with until you feel you've mastered the skills of the only architect who doubles as an action hero.